This year, Earth Day will be celebrated on Monday, April 22nd. It is a day held to demonstrate and promote environmental awareness and calls for the protection of our planet. April 22nd is a day for reflecting on the achievements made to restore and protect our environment as well as raise awareness to future challenges, in fact over 193 countries are now coordinated globally by the Earth Day Network and commemorate this day. Earth Day has become so big that not all the events can be held on the 22nd. 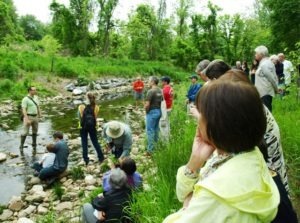 Earth Day has grown into Earth Month with volunteer, community, and environmental educational events happening throughout April. Here are a few that the Department of Environmental Protection would like to highlight this year. Join Mary Travaglini, DEP’s Sustainable Landscapes Manager, to learn about the importance of healthy soils for an organic lawn, and tips for caring for your lawn without synthetic pesticides and fertilizers. The Montgomery County GreenFest partners are proud to join the Environmental Film Festival in the Nation’s Capital to present three documentary screenings in April at the Brookside Gardens Visitor Center Auditorium. This film follows explorer Steve Elkins and team as they use advanced laser mapping technology to find a lost city hidden in the almost impenetrable jungle of The Mosquito Coast. With the support of the president of Honduras and the Honduran military, they are able to save the site from certain destruction and looting, arrange for a proper excavation of artifacts, and begin to preserve the area for future generations. 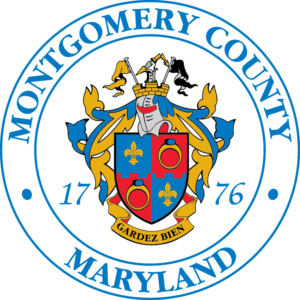 Commu nity Cleanup — Contact stream.stewards@montgomerycountymd.gov for more information and to register. SSL hours are provided. 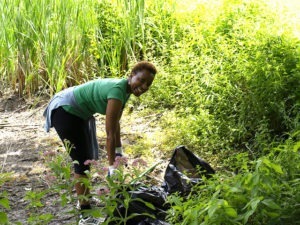 Community cleanup, 10:00am to 12:00pm, Wheaton Branch pond on Dennis Avenue in Silver Spring. Paper Shredding — Confidential Paper Shredding/Recycling & Clothing/Household Items Reuse Donation Collection Event. Event is from 10:00 a.m. to 2:00 p.m. No cars will be permitted to enter the parking lot of the school after 2:00 p.m. The County reserves the right to close the event before 2:00 p.m. if the mobile shredding trucks become filled to capacity. All paper will be shredded on-site. These are drive-through events, and we ask you to stay in your vehicle. For everyone’s safety, you will not be able to watch your paper being shredded. Limit: 5 paper bags or small cardboard boxes of paper per household/vehicle. This event is free of charge and open to Montgomery County, MD residents only. Please, no businesses. In 2006, international drilling company Lapindo carelessly unleashed an unstoppable toxic mudflow into East Java, burying dozens of nearby villages and displacing tens of thousands of Indonesians in the process. Documentarians Cynthia Wade (Academy Award winner for Freeheld) and Sasha Friedlander focus the tragedy around 16-year-old Dian, a survivor who is routinely ignored by her government, despite the unforgiving sludge continuing to engulf her home for over a decade. Chronicling the teenager’s transformation from a young girl into an outspoken advocate for her community, this is a timely showcase of the urgent need for political activism, the duty to hold those in power accountable, and the perseverance of the human spirit amidst social and environmental strife. Tuesday, April 16 from 7:30 to 8:30 p.m. First FrogWatch Field Training, at the MaydaleConservation Park. To register for activities: contact stream.stewards@montgomerycountymd.gov for more information about these cleanups and to unsure enough supplies are provided for volunteers. Come ready to learn how you can make a difference. There will be green vendors, local food, community groups, speakers, demonstrations, music, and even a toy exchange for kids. Storm Drain Art Painting: Saturday, April 20th, rain date of April 27th from 10am to 2pm in Germantown. To register for activities, contact stream.stewards@montgomerycountymd.gov for more information. SSL hours are available. Renowned photographer James Balog (Chasing Ice) uses his camera to reveal how environmental change is affecting the lives of everyday Americans. Following the four classical elements — air, earth, fire, and water — to frame his journey, Balog explores wildfires, hurricanes, sea level rise, coal mining, and the changes in the air we breathe. With compassion and heart, this film tells an urgent story while giving inspiration for a more balanced relationship between humanity and nature. This year, the County’s premier environmental festival moves to Brookside Gardens. GreenFest is a chance for residents, businesses, nonprofits and neighbors, to come together, share ideas and learn. Plus GreenFest has tons of fun activities for the whole family from kids tree-climbing to music and exhibitors. Plus, this year you can walk the trails, chill out on the grass, and explore the neighboring Brookside Nature Center, all while discovering how you can go green at home and in the community. 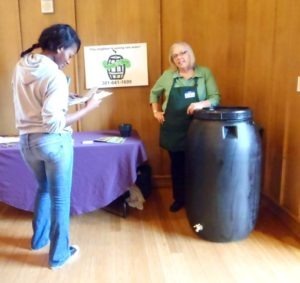 4 comments on "Earth Month 2019"
Also on Earth Day (Monday, April 22) we at Cedar Ridge farm will hold our Spring Planting Day and Earth Day Celebration. From 10AM-noon, volunteers can help plant carrots, lettuce, kale, and other spring crops; weed the strawberry beds and the asparagus plot; fix holes in the deer fence, and conduct other early season tasks. 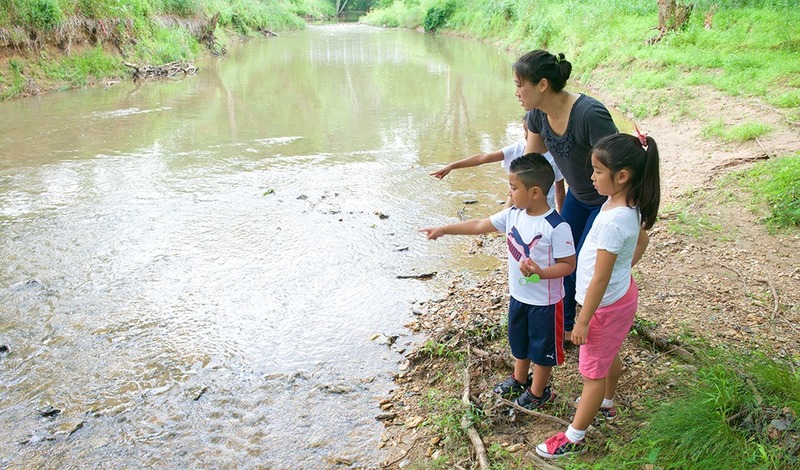 Visitors can also take a tour of the beehives, walk an interpretive trail through our 63 acres of meadows and woodlands, and test their knowledge of hunger issues in Montgomery County. There are activities for all ages and abilities, and SSL hours are available for work on the farm. Light refreshments will be served. Cedar Ridge farm, located at 2410 Spencerville Rd, MD 20868, is a little over a half acre of vegetable and fruit crops, and the food grown is all given to local groups that serve the hungry and others in need. The farm is managed on organic principles and always with the health of the people who eat the food and of the land in mind. Each year we produce between one and two tons of fresh food. Another easy step that folks can take is to participate in community solar. This is a pilot program overseen by the Maryland Public Service Commission that allows anyone to recieve a portion of the energy genrated by a community solar farm without the hassle of rooftop installation or maintenance of panels. In fact, besides being clean energy, it is actually cheaper than fossil fuel generated energy through Pepco or BGE.